Every year the Kröller-Müller Museum welcomes visitors from all over the world. We work together with DMCs, (outbound) tour operators, FIT providers and accommodations, and do our utmost together with our partners to make a visit to the museum proceed as smoothly and enjoyably as possible. For a voucher arrangement contact our sales department: sales@krollermuller.nl. There is parking space for coaches near the museum. The coach driver can drop off the guests in front of the museum and then park in the space reserved for coaches. Please note: coaches can not enter the Park through the entrance at Schaarsbergen, near Arnhem. The museum is easily accessible with a wheelchair. Mobility scooters are permitted in the museum and sculpture garden. A Segway is only permitted in the sculpture garden. Wheelchairs, walking frames and children’s buggies are available for loan at the museum (these items are free of charge but cannot be reserved). Restaurant Monsieur Jacques offers various possibilities for groups. For reservations e-mail info@restaurantmonsieurjacques or call +31(0)318 591 657. The museum’s tour guides provide tours on request through the collection, the sculpture garden and exhibitions in 6 languages: Dutch English, German, French, Spanish and Italian. A maximum of 20 people can join a tour, several tours can take place simultaneously. A guided tour costs € 110 and € 125 on Sundays and national holidays. 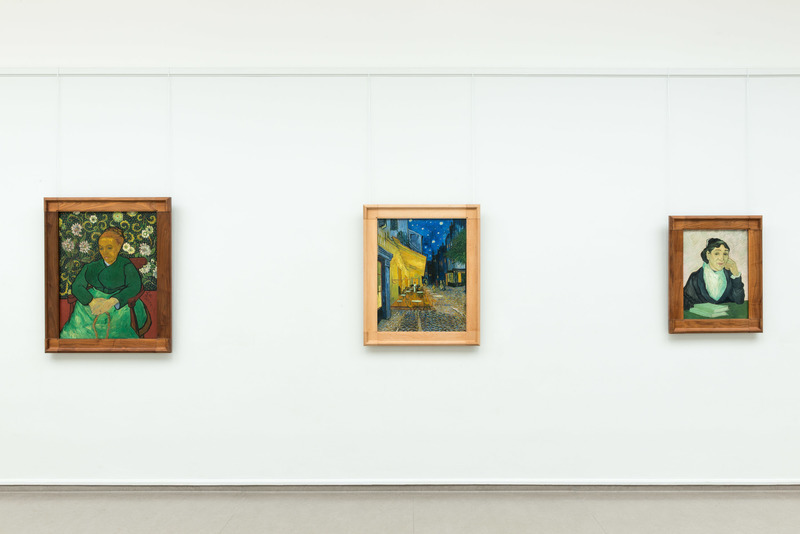 We also organize bespoke guided tours around a theme of your choice, for instance our unique Van Gogh collection. Price on request. You can organize your own guided tour, but for a maximum of 20 people. This is to ensure that the spaces remain accessible for other visitors. A headset is compulsory during the period 1 March to 31 October. The Podcatcher audio tour provides background information on over 25 masterpieces from the collection and is available in 7 languages: Dutch, English, German, French, Italian, Japanese and Mandarin Chinese. You can hire the Podcatcher for € 2.50 from the reception desk. You can offer your guests an exclusive visit to the museum. This is possible from Tuesday through Saturday before and after opening hours. And on Monday, when the museum is actually closed, we offer a VIP opening with guided tour. Prices on request. For prices and bookings for a (thematic) tour, an exclusive visit or a voucher arrangement, contact us at: sales@krollermuller.nl or +31 (0)318 591 241.